On November 9, 1938, Germans initiated a wave of destruction and violence against Jews across the nation. 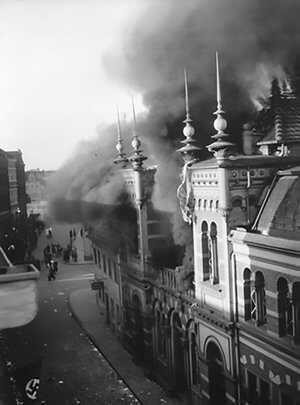 During a night that would go down in history as Kristallnacht("night of broken glass"), homes were ransacked, businesses were burned down, and synagogues were blown up. Shortly afterward, the Nazis imposed a fine and harsh laws on the Jewish population. Kristallnacht made American front pages and brought fierce denunciations of Hitler and Nazism. 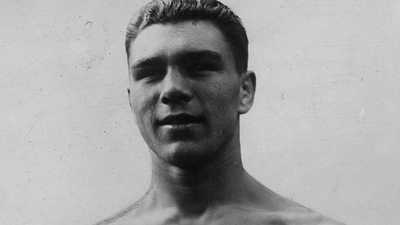 A few months later, when boxers Joe Louis and Max Schmeling met for a rematch in the shadow of war, they would become reluctant national symbols of equality and supremacy, democracy and fascism. In the U.S.,some front-page news below. Nazi Germany today indulged in its greatest wave of anti-Jewish violence since Adolf Hitler came to power in 1933. As a national day of vengeance for the assassination of a German diplomat by a Jew in Paris wore on, reports from every section of the country told of the burning and dynamiting of synagogues and demolition and looting of Jewish shops. The reports indicated that the campaign was conducted with a thoroughness and precision that left little to chance. "The justifiable and understandable indignation of the German people over the cowardly Jewish murder of a German diplomat in Paris has resulted during the past night in extensive demonstrations," said Goebbels. Der Angriff, organ of Goebbels, in a short account of the violence said "we shed not a single tear for them." "They (the synagogues) stood in the way long enough," the paper continued. "We can use the space more usefully than as Jewish fortresses..."
Munich -- All Jews were told they must leave the country within 48 hours. The only remaining Jewish bank, Aufhausers, was raided and its windows smashed. One of its directors and his wife committed suicide, another was taken to a concentration camp. A third, a British subject, was not molested. Nurnberg -- Private houses of Jews were entered, children thrown out of their beds, furniture was smashed, carpets torn up. Cologne -- Crowds broke windows in nearly every Jewish shop. An entrance to a synagogue was forced, its seats overturned, windows smashed, books torn. One building was set afire, but the blaze was quickly extinguished. A century-old Jewish restaurant was badly damaged. Salzburg — A synagogue was destroyed and its ritual emblems demolished shops of small Jewish tradesmen were invaded, demolished and looted. Potsdam — A synagogue was raided and Jewish shops destroyed. Vienna — Jews said 22 of their number here committed suicide in despair as all the synagogues in the city suffered total or partial destruction. One synagogue was blown up. Three others were wrecked. Storm troopers brought truck loads of Jews to Doliner St., where they were put to work tearing down another synagogue piece by piece. Numerous male Jews were arrested as they waited outside the British Consulate seeking visas to England. Women were not detained. Storm troopers said those arrested would be taken to concentration camps. Six large plate glass windows in the capital's best-known children's furnishing store, on Leipzigerstrasse, were caved in. This afternoon, the optimistic proprietors took measurements for replacement. 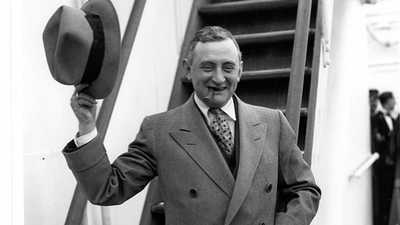 An immediate effect of the outrages was a storm of hostile criticism in England, where it is predicted Prime Minister Chamberlain's policy of understanding and friendship with Germany faces new hazards. Nazi experts drafted new repressive measures against Jews today... ghetto laws on medieval lines, under Chancellor Hitler's direction. In Austria, by official order, Nazis had begun confiscation of goods in Jewish stores. Many grocery stores and restaurants in Vienna received orders to refuse to sell food to Jews. It was the high point of 5-1/2 years in which Jews had been systematically restricted in their livelihood, excluded from professions and trades ostracized from a large part of society, imprisoned in concentration camps. Railroad stations and airports were unusually crowded with Jews trying to arrange transportation abroad. Germany moved today to drive Jews out of its business and cultural life. Culminating five years of progressive Nazi repressions, Wilhelm Hermann Goering, Reich minister of economics, issued a drastic decree barring all Jews from retail and wholesale trade, effective Jan. 1. "...A number of the most far-reaching measures for solution of the Jewish question were discussed and partly adopted. Commissar for the four-year plan Goering issued a decree forbidding Jews from Jan. 1, 1939, on to own retail shops, mail order houses or sales offices, as well as to exercise handicrafts. "Under the decree no Jew may be manager of any concern under the definition of the term manager under the law of national labor of January, 1934, after Jan, 1939. "If a Jew occupies a leading position in a business concern without being manager then the manager of the concern may dismiss him from employment with notice of six weeks. "The commissar of the four-year plan also has issued other decrees obliging Jewish shop owners immediately to repair all damages caused by the national indignation over the International Jews' provocation against National Socialist Germany on Nov. 8, 1938. "Costs of repairs are to be defrayed by the owners of the shops and flats in question. Insurance claims of Jews having German citizenship are seized for the benefit of the Reich. "Further far-reaching measures for the elimination of Jews from economic life and for cessation of conditions lending themselves to provocation will be taken very soon in the form of decrees and laws." 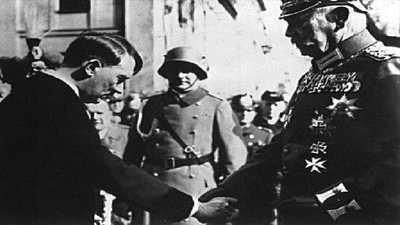 "Decision has been taken above all to impose upon the entire community of German Jews as a whole a fine of 1,000,000,000 marks as a penalty for the base murder of Paris. This entire sum will be appropriated by the Reich. The commissar of the four-year plan already has issued a decree to this effect. Today's anti-Jewish restrictions in Germany are not only offenses against the Jewish people but against all humanity, Rabbi Abba Hillel Silver of the Temple said today. "We are dealing with a government of sadists and perverts who have no consideration of humanity and decency, who take it out on a helpless minority," he said. "Why does the world stand by and do nothing?" Jews have been through pogroms before, Rabbi Silver said, "but nothing has ever compared with this German card index and timetable pogrom for brutal efficiency." Such cruelty, he said, appears to be a symbol of our present civilization. Acts and decrees, these, which terrorize, pauperize and ostracize a whole people for the sole offense of worshipping their God in their own way, or having ancestors who did. Seeing this, Americans are shocked into resolution that the seeds which sowed this tyranny shall not take root in our soil. The Nazi government has brutally deported overnight and without warning, thousands of Jews and non-Jews, dumping them into a no man's land on Poland's border. Helpless and poverty-stricken, with no chance even to salvage their few personal belongings, these men, women, and children suffer the greatest privations until relief organizations with American money come temporarily to their rescue. A crazed, 17-year-old, Jewish youth in Paris, learning that his parents, penniless and starving, lie in the open fields that border-land, vents his outraged sensibilities by shooting a secretary of the German embassy. Immediately the Nazi press brands the assassination as "a new plot of the Jewish world conspiracy against Germany." Upon this pretext, synagogues are burned, homes of Jews invaded, and thousands of citizens beaten up and jailed. Police and troops stand by until lust of the mob is satiated. Then, after 12 hours of rioting, Goebbels calls a halt while announcing that new refinements of cruelty are being devised against the 400,000 Jews in Germany, already crushed by persecution of unprecedented savagery. Thus does a nation gone mad wreak its vengeance upon thousands of defenseless human beings. And the civilized world stands aghast! ... will the world continue to "take it" from mad Nazidom? The anti-Jewish pogroms, and the anti-Catholic attacks are beginning to startle the world out of its abject subservience to the Monster of Mittel Europa. He goes too far -- tells all and sundry to keep hands off, to mind their own business; he threatens reprisals on nationals of other countries; he threatens other countries and tell them if they don't watch out he will take measures to enforce his decrees IN THEIR COUNTRIES; New York, London, Paris will be bombed, if necessary to bring them to reason. We cannot do better in closing than quote the editorial entitled "Nazi Porgroms" printed yesterday in the "Chicago Daily Tribune": "The pogroms which exhibited savagery in Russia's low peasant stratum and cynical brutality in some of Russia's old officialdom did not have all of the highly organized malignance of the Nazi racial and religious terror. The Russian pogrom was terrible, but it was also simple. The Nazi pogroms have a mentality which is stupefying. They have a calculation which is unintelligible. "The twisted ingeniousness of assessing damages against the Jews for destruction done by tolerated and unchecked Nazi mobs makes observers in other countries gasp. That suggests that the official German mind has been tortured and distorted by its own fanaticism, hatreds and greed. The pogrom of terror and persecution is so frenzied that it leads to the belief that a once cultured and enlightened people cannot forever keep it up. Even the severest repression cannot forever hold a civilized people in such emotional and mental obliquity. Human nature must revolt against such madness. "— H.A.L.